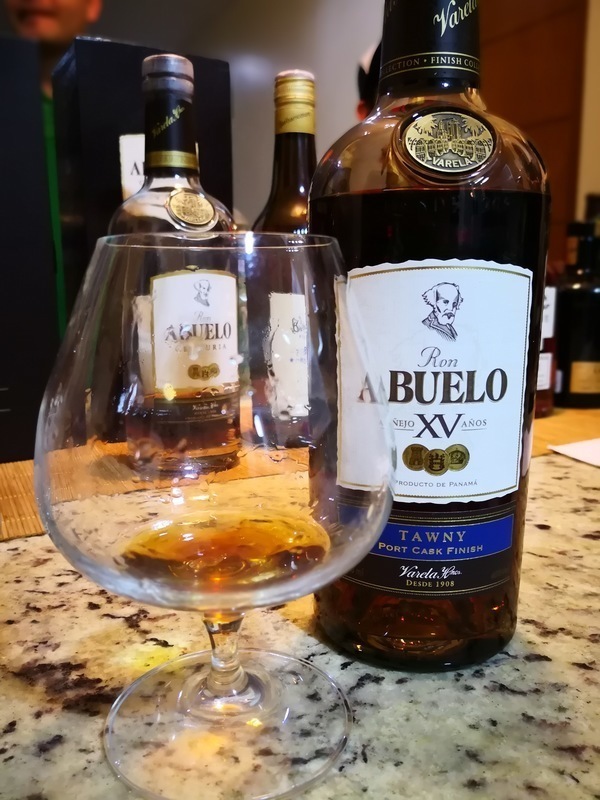 Have you found an online vendor selling Ron Abuelo Anejo XV Tawny Port Cask Finish? I prefer this to the Abuelo XV Oloroso and XV Napoleon. To me, the port has a much nicer smell and taste than the sherry or cognac does. Medium Dry, with full sweet red grapes taste. Very woody. Long finish. Superb color, great high notes, one can really feel the Tawny Porto wine in it. Har hørt meget godt om disse Abuelo rom, men jeg har generelt været lidt skuffet og ikke helt oppe at ringe.. This was the first sipping rum that I purchased. It's smooth with a nice port finish. Very rich, dark color. Taste is just as rich, more like a dessert rum. Nice port finish. Very enjoyable. Port cask finished, well aged Panamian Rum. Caramel, tobacco, black pepper, chocolate, vanilla, port cask. Awesome Rum with a sweet, Rich and strong Aroma. Decent aroma. Gentle sweetness in the beginning, then a lot of portish flavor. Pure rum taste in the end. Wonderful taste rich on port tones. Burn and sweetness is really well balanced making it a pleasant experience. Purchased a sample from Master of Malt for £6.89. This is a very fruity expression blackcurrant and redcurrant come through powerfully but very nice. Es un muy buen, con aromas de azúcar, frutas y especias, de sabor equilibrado y dulce ligeramente. One of the first exclusively fruity noses I've come across, full of banana and almond. Impossibly smooth on the tongue. Subtle nouget tones accent the mild port flavours that come through. A delightful little flare gives the smallest bite on the upper tier of the aftertaste, giving emphasis to the banana flavour which carries on long after consumption. This is an absolute masterpiece. Enjoyed a glass of Ron Abuelo XV Tawny Port Cask edition while vacationing in Amsterdam. 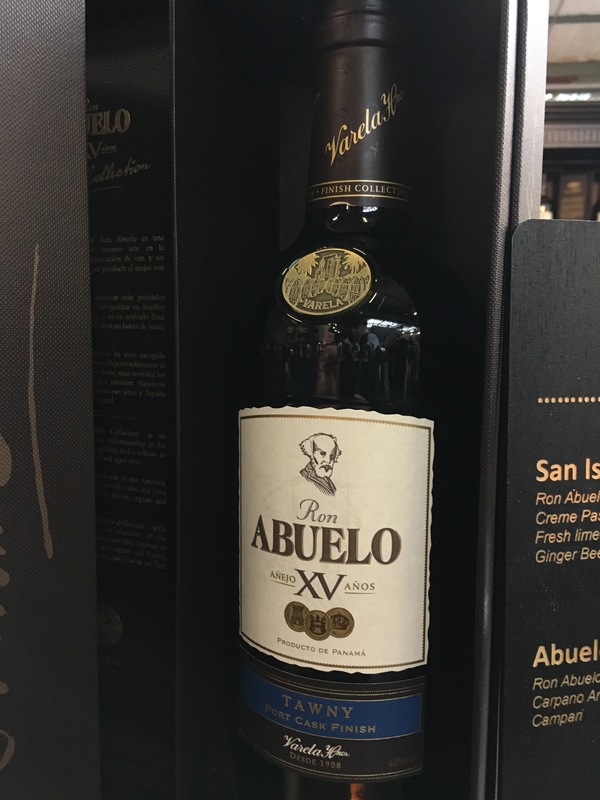 I'm surprised Ron Abuelo team did not choose a slightly different bottle design from their regular rums. At least the label design is a bit updated from the usual. Color is super deep brown. You get very strong port flavors to both nose and palate. Not unpleasant but unique for sure. This is quite sweet rum so hardly any burn at the end. 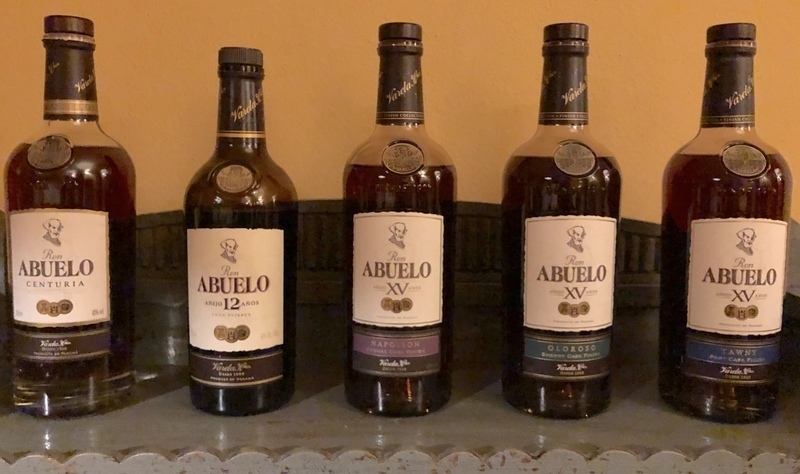 My ranking for Special Edition Abuelo Rums is Napoleon (8), Tawny (7), Oloroso (5). Une nez épicé,une jolie couleur marron jaune, une bouche épicé et tranchante. Un peu court en bouche. Not a bad rum, but very forgettable taste. The tawny finish is not very pronounced. A great tastning rum, with a fantastic soothing oak finish. En abuelo... sød og rar. En smule sprittet i halsen men smager dejligt.